David was born in South Sudan. At the height of the Sudanese Civil War in 1987, he was separated from his parents and displaced from his village, with thousands of other boys, by the conflict; the group later became known as The Lost Boys of Sudan. Together with his group and at the tender age, he trekked a long, arduous, and fatal journey from his village to Ethiopia and then to Kenya and finally to the United States in 2001 in pursuit of safety and education opportunities. Despite of all the challenges that comes with many years of childhood suffering, displacement, and refugee status, David stayed determine to pursue his education. David obtained his B.A in Economics from Washington State University in 2008, and his Masters of Science in International and Development Economics from University of San Francisco in 2015. 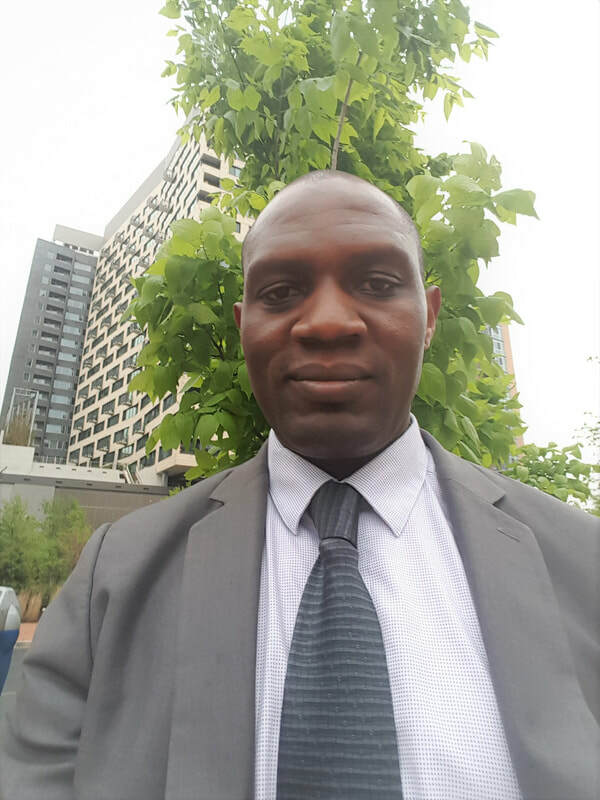 After graduate school, David consulted for the World Bank in Kenya where he worked on socio-economic integration and conflict mitigation project of the refugees and the host community. After leaving this work, he went to South Sudan to pursue a long held passion in teaching and at the same time to help in the development of the world's newest country, South Sudan. 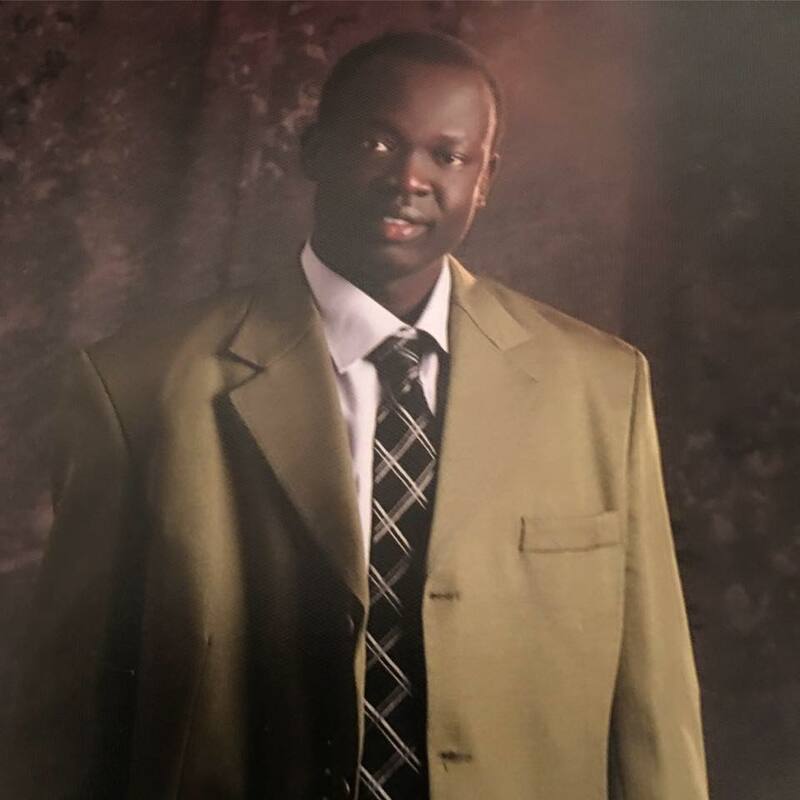 He is currently a lecturer of economics in Upper Nile University in Juba, South Sudan. Besides his teaching roles, David has also consulted for different local civil society organizations and think-tanks. Troubled by the desolate condition of education across South Sudan, where most elementary and high school students have never used and/or seen a computer, and where there is almost no computer and science labs, David founded a non-profit organization, South Sudan STEM Initiative, to help introduce and alleviate the deficiency of these critical learning areas of the 21st century. With this initiative, we are helping introduce and reinforce science, technology, engineering and mathematics learning through apps and other computer programs. Amanda is a health and development economist who earned her PhD in economics from UCLA. Prior to attending UCLA, she received her B.A. in Economics from UC Berkeley, where she also served as president of the university's UNICEF Campus Initiative chapter. Inspired by her experience working with a global humanitarian organization, she decided to pursue economic research as a means to alleviate poverty and improve living standards. In her research, she has conducted program evaluations in Uganda, India, and Ecuador. Spencer is a development economics researcher from the San Francisco Bay Area. He is currently working as a research and data analyst for Protagonist Technologies and has previously worked as an impact evaluation consultant for the World Bank, University of San Francisco, IFPRI, and Kiva Microfunds. Spencer received his B.A. in Economics from Claremont McKenna College, and earned his M.S. in International and Development Economics from the University of San Francisco. Pierre is an Associate Data Analyst and Database developer working with the Federal Emergency and Management Agency (FEMA). He also worked as a Contractor for an IT company, Creative RNP, with the Department of State in Washington, DC. Previously, Pierre worked as a Research Assistant on a USAID- supported Land Project in Rwanda, where he was involved in helping the Rwandan government evaluate housing prices, set up a national standard for housing and land prices across Rwanda’s urban cities and address crucial problems of a market increasingly dominated by landlords. Pierre holds a Bachelor’s of Science in Business Management from Eastern University in St. Davids, PA. He also holds a Master’s of Science in International and Development Economics from the University of San Francisco. 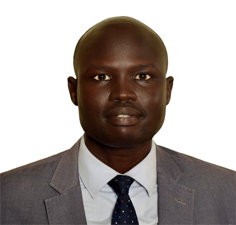 Mr. Jacob D. Chol is a Comparative Political Scientist who is a Senior Lecturer and former Head of Department of Political Science, University of Juba. He undertook his graduate studies at the London School of Economic and Political Science (LSE)-UK and graduated with MSc in Comparative Politics. Mr. Chol has published and consulted widely on democratization and governance, ethnicity and spiritual mythology, peace building, mediations and negotiations, regional integration, politics of oil and gas, UN in State building and failure, human rights as well as small arms surveys in South Sudan. He is also the founder and the Executive Director of Centre for Democracy and International Analysis (CDIA), a life member of Development Policy Forum (DPF), Greater Horn Horizon Forum (GHHF), Council for Development of Social Science Research in Africa (CODESRIA), African Peace Building Network (APN), American Political Science Association (APSA) and International Political Science Association (IPSA) amongst others. James Alic Garang holds a PhD in Economics from the University of Massachusetts at Amherst, USA. His research interests are in macroeconomics, development economics, and monetary policy with a focus on financial sector development and financial inclusion, especially the role of financial sector in expanding access frontier to SMEs. He is currently an advisor with the IMF in Washington DC. He was previously a Senior Economist at Ebony Center for Strategic Studies and Assistant Professor of Economics at Upper Nile University, South Sudan. On administrative front, he served in the same school as a Chair of the Economics Department and Deputy Dean in the College of Economics and Social Studies from 2014 through 2017.